Major depressive disorder (MDD) is a pervasive and debilitating mental illness, associated with significant emotional, social, and functional deficits. Growing evidence suggests that cognitive dysfunction is a core feature of MDD and may negatively interact with other clinical features of the illness (e.g., psychosocial dysfunction, illness onset). We review recent advances in our understanding of cognitive dysfunction in MDD and highlight the putative causes and effects of cognitive deficits in depressed patients. Recent findings in this domain point to a multifaceted pathology of cognitive deficits in MDD, with behavioural disengagement and chronic low-grade inflammation likely playing an antecedent role. Emerging evidence suggests an independent role for cognitive deficits in the development of psychosocial dysfunction, particularly in domains of occupational function, interpersonal relationships, and quality of life. While the pathology of cognitive deficits in MDD is complex and multifaceted, recent advances provide clarity in select areas. 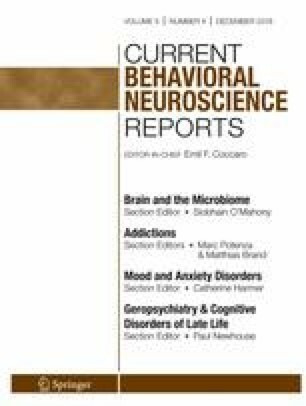 Executive functioning stands out as a cognitive domain crucial to adaptive psychosocial status, highlighting the importance of remediating executive deficits with cognitive treatment. Low-grade inflammation may indicate a predisposition to severe, treatment-resistant depression and associated cognitive deficits. Screening for specific cognitive deficits and inflammatory markers in depressed patients may therefore prove crucial in the advancement of our detection and treatment of major depression. Matthew J. Knight and Natalie Aboustate contributed equally to this work. BB received speaker/consultation fees from AstraZeneca, Lundbeck, Pfizer, Takeda, Servier, Bristol Myers Squibb, Otsuka, and Janssen-Cilag. The remaining authors have no conflicts of interest to declare. World Health Organisation. Depression and other common mental disorders. World Health Organisation, http://apps.who.int/iris/bitstream/10665/254610/1/WHO-MSD-MER-2017.2-eng.pdf. 2017. http://apps.who.int/iris/bitstream/10665/254610/1/WHO-MSD-MER-2017.2-eng.pdf. Accessed January, 2018 2018. Knight MJ, Baune BT. Social cognitive abilities predict psychosocial dysfunction in major depressive disorder. Depression Anxiety 2018:1–9. https://doi.org/10.1002/da.22844.